Get excited, it’s finally time to do a box breakdown. 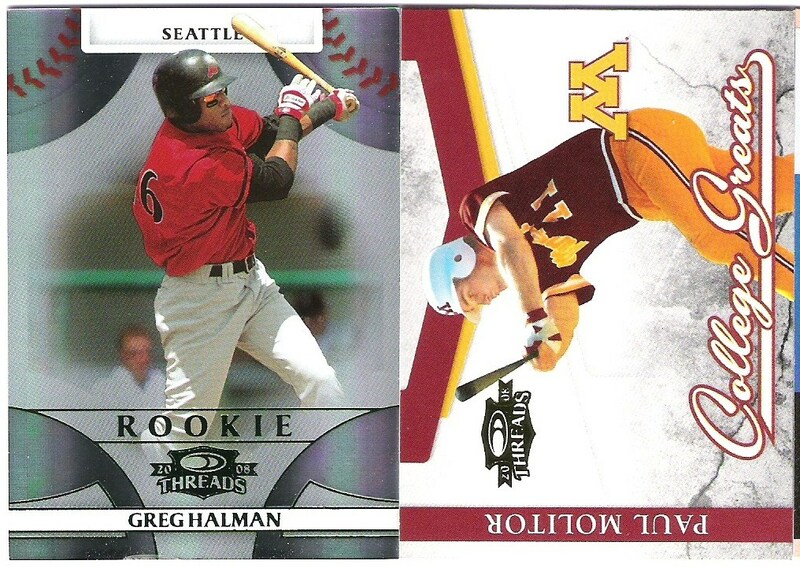 This is for 2008 Donruss Threads Baseball, if you didn’t catch the title of the post. I’m sure there’s plenty of reviews & stuff out there already, so I’ll make the summary bit short & sweet. 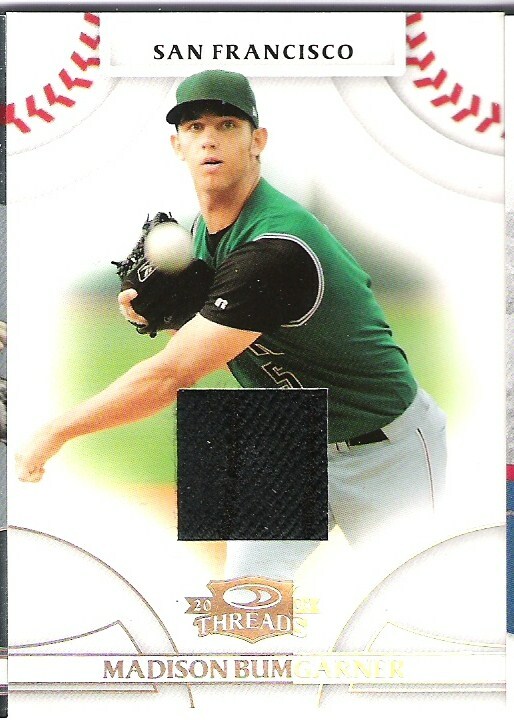 Not being licensed by MLB, there aren’t supposed to be any MLB logos or team names anywhere on the cards, but the attempts to remove them from the photos are often half-hearted at best, though some are fully removed. Overall, lack of team names and weakly obscured logos don’t detract from things, though the fully removed ones are slightly jarring if you’re paying enough attention to notice. As you can see, any partially obscured team names are left alone, and most hat/helmet logos are half-assedly dealt with at best. 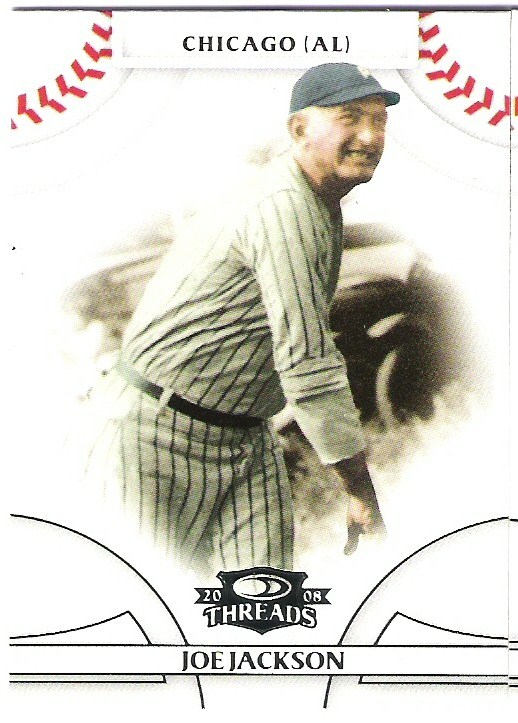 The design is pretty decent I think, and I like how deep into the legend barrel they dug to pull out Frank Howard and some others, including Hall of Famers, that you unfortunately rarely see on cards nowadays. It definitely allows this set to tap into a bit of the epic fun factor of the topps Archives & All-Time Fan Favorites sets from the early aughts. It’s nice to see Pete Rose and Shoeless Joe too. The short set is 100 cards, and there are 120 per box, of which about 14-15 will be inserts/parallels (more on that shortly). That leaves room for a few duplicates in every box, but you should still be able to complete the set. Not so fast my friend. I came up well short of the finish. I haven’t gotten around to collating it yet, but I think I came up at least five cards short of the complete set. 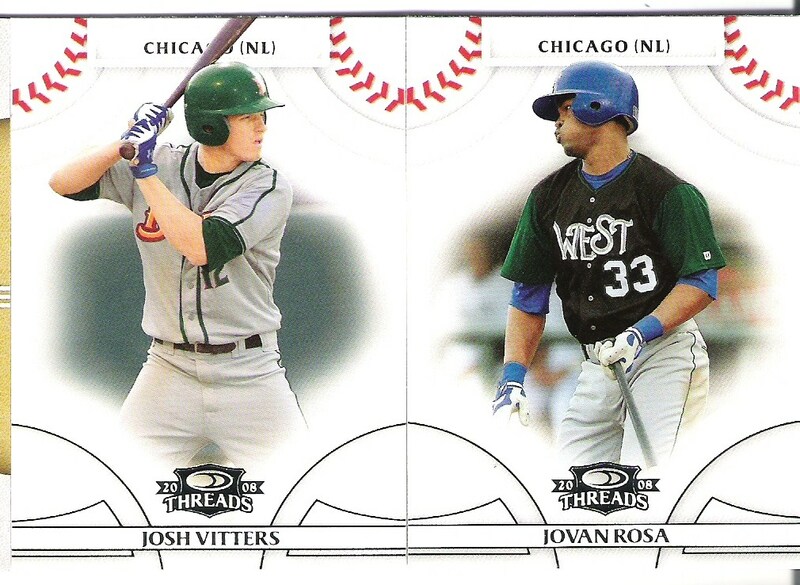 Now then, the regular inserts and parallels. You are promised 10 per box, one each of the following: Diamond Kings, Century Stars, Century Legends, and Green Century Proofs. 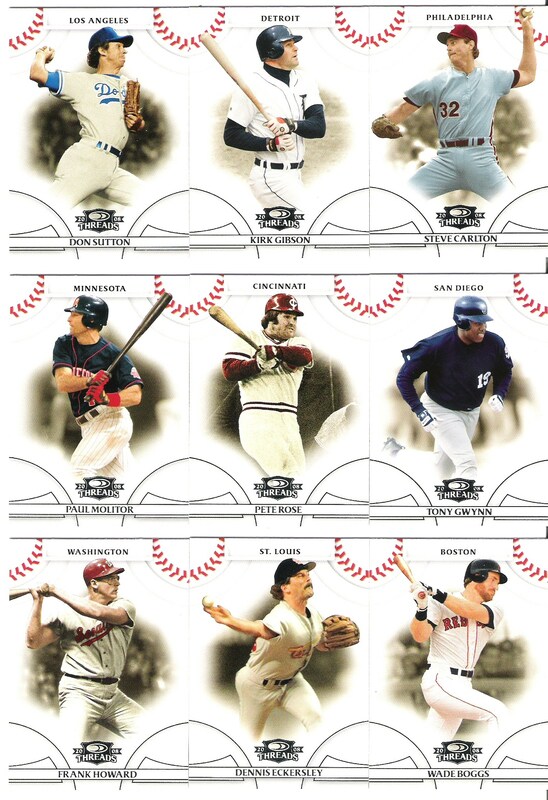 The other six are a random assortment of the above, as well as #ed base parallels, College Greats, Dynasty, Generations, and I guess Baseball Americana. With six being random, there’s a good chance you won’t pull everything. I didn’t get any Baseball Americana or Generations in my box, whereas Drew from drewscards pulled two Baseball Americana, but no Generations or Dynasty inserts. I pulled one of the latter. The Century Legends are designed to look classy, and the Century Stars are designed to look fun I guess. Both succeed. There are a crap-ton of Diamond King parallels, starting at /250. Fuller is the regular base version, which isn’t numbered. 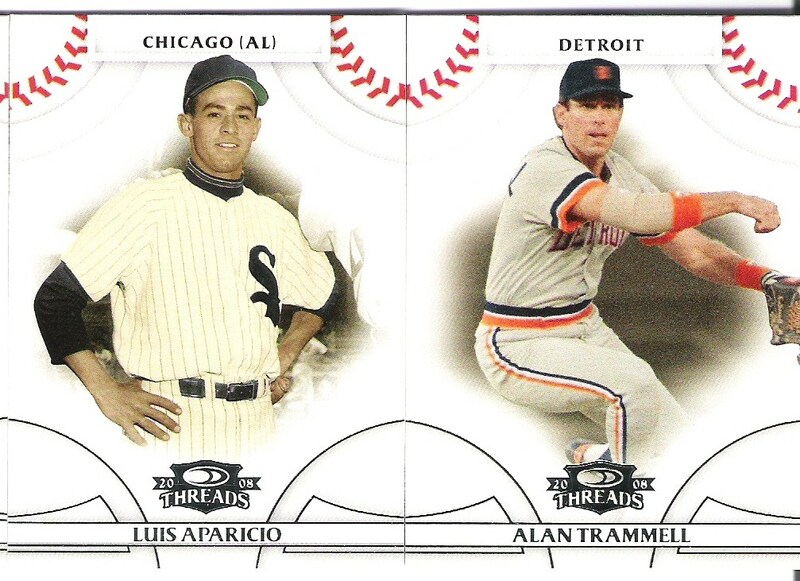 They used the same picture for Mr. Cub’s Diamond King and Century Legend (The two Century stars I pulled share the same photo as the players’ respective base cards, as well). The photo recycling thing is annoying to start with, but within the same set? Pathetic. Come on, man! And for the love of pizza, quit using the same picture of Joe Morgan already! How many freaking times has that same picture of Joe Morgan been used with various cropping and/or filtering since the beginning of the '00s now?? 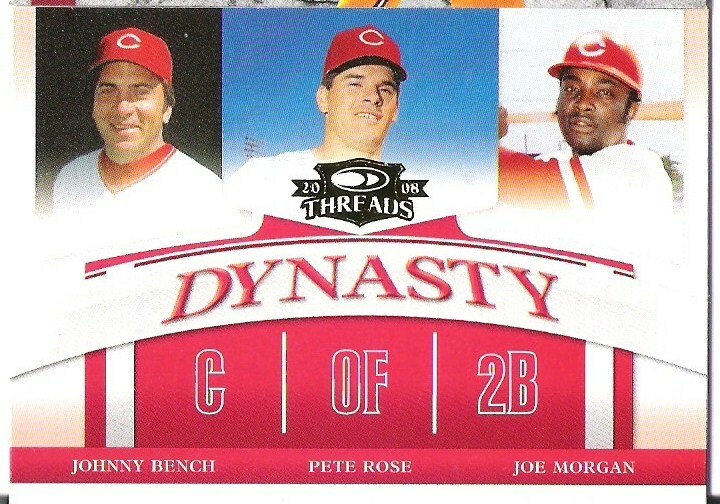 It’s a cool card & all, but that picture’s been used on seemingly every single Joe Morgan card made since 2000. Ask Field of Cards about that. Poor guy’s haunted by that image. He was even in attendance for my live box break on Jtv when I pulled this. Halman Green Century Proof /250 & Molitor College Greats..
Emilio Bonifacio /1874, Keaton Hayenga 1/100 (woohoo eBay 1/1! ), and Ryan Patterson /775 sticker autos..
Bonifacio was pretty beat up right out the pack, and Hayenga wasn’t minty fresh either, which is unfortunate because it’s the first time I’ve ever pulled the first or last of a print run. My weak link of the box. 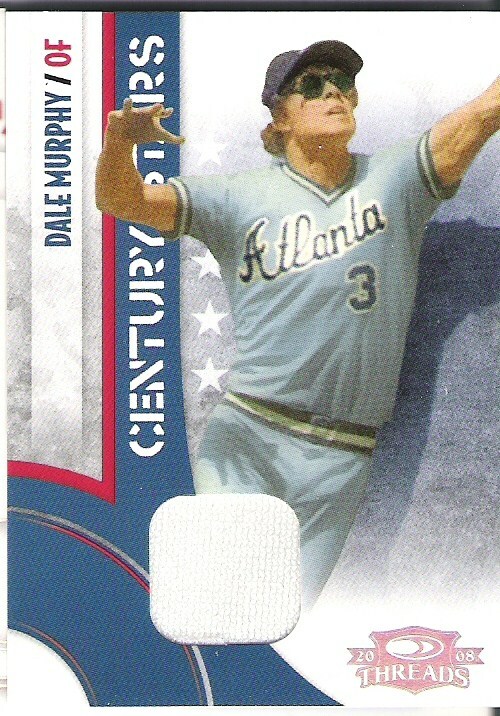 Dale Murphy would be a really cool pull usually, and I guess he kinda still is, but considering how great the legend checklist is, this is probably one of the weakest possible legends you can get. And, this is the only legend hit I got. Oh wells. Price: A This is a great product at under $50. It’s fun and there’s a fair chance at a great pull. Condition: C I think only the three cards were noticeably damaged, but they were kind of important ones. Pulls: B Bonifacio has made it to the majors already but not been great. Hayenga has potential. Patterson is going on 27 and hasn’t made the show yet, though he might be decent if he ever does. Murphy is cool but a weak legend. Bumgarner is easily the hit of the box. 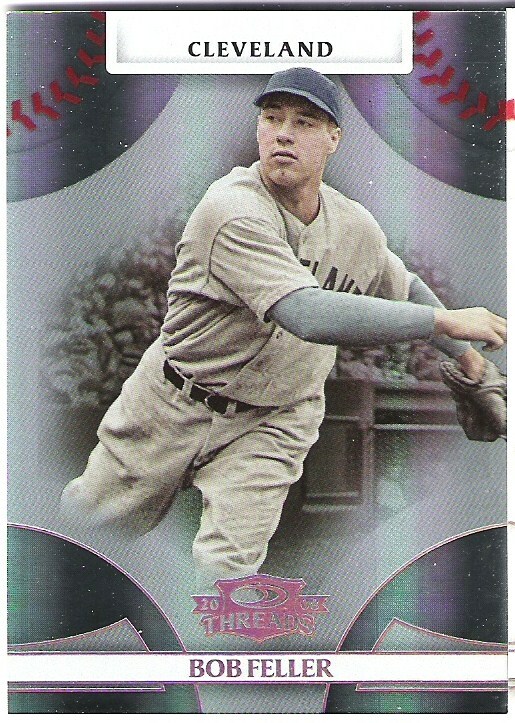 The regular inserts and the Bob Feller parallel are what bring it up from a C to a solid B. Fun: A+ This was easily the most fun I’ve ever had busting a box of cards. I may get another box of Threads in the future. Final Grade: Solid B It has it’s flaws, but it’s just a fun product. You’ll be close to the complete short set even if you do get too many dupes, the regular inserts are fantastic, there’s pretty decent big hit potential for the price, and it all looks pretty good, sticker autos aside. There is much to like here.